We have already covered how spaghetti squash makes for a great low carb alternative to pasta. But, that can’t possibly be its only reason for being. 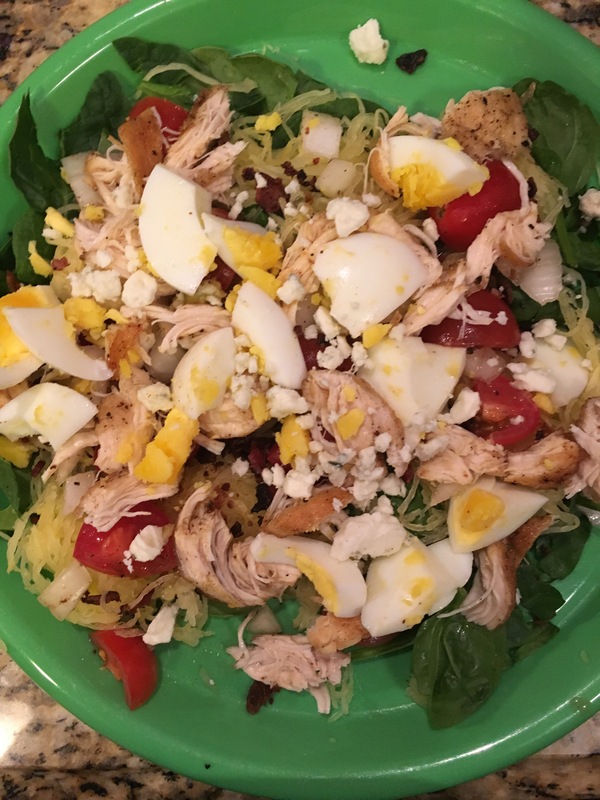 What’s great about spaghetti squash is that it’s texture and thickness are applicable to both a hot or cold dish, so adding a bit to a salad gives you a fun new throw-in to keep your salads vibrant and unboring. We have taken a leftover half of squash from the previous entry using pesto and steak (which also includes instructions on cooking the squash). 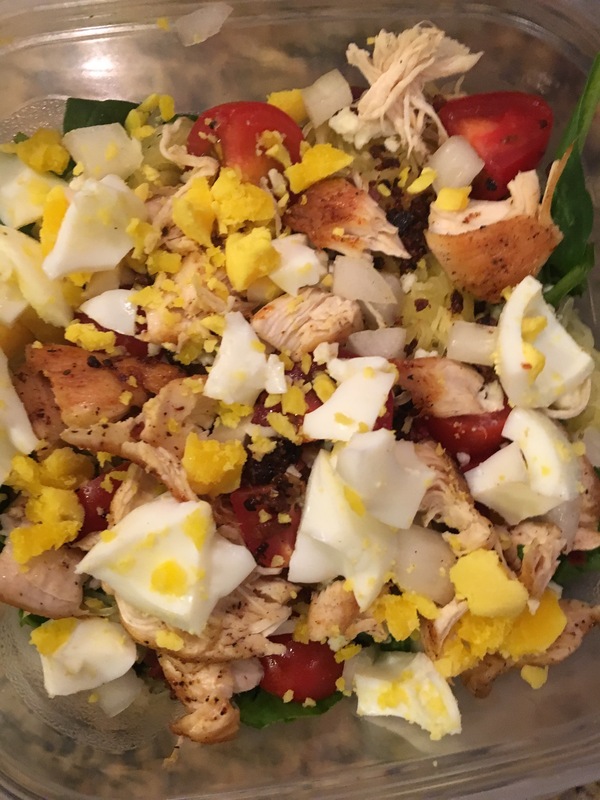 After forking out the goods and placing it on top of spinach, we added chicken, bacon, blue cheese crumbles, hard boiled egg, avocado, tomatoes and onions. Now, you may say that a cobb salad is not exactly the most healthiest of options, but the fattiest ingredients have been added in moderation (you got to live a little, even with a healthy lifestyle :). You’ll find that the squash is a good absorber of dressings or just the cheese and bacon. So the next time you’re whipping up a Greek, Caesar, or Chef for guests, give them a little yellow shock by throwing in a bit of spaghetti squash.